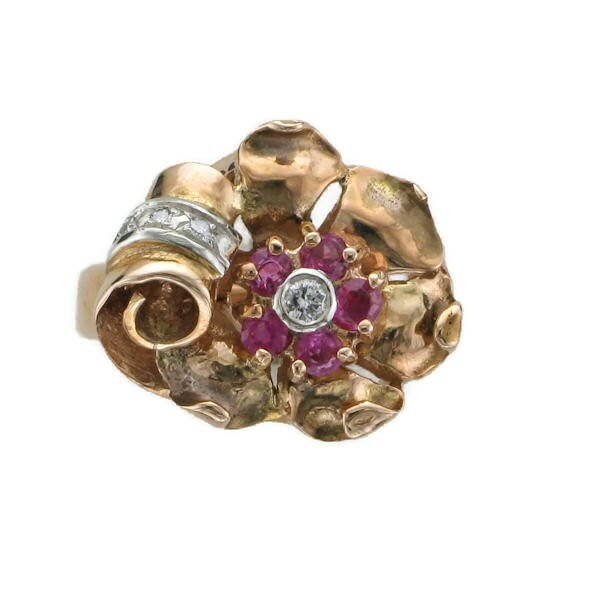 Ladies 14 karat yellow and rose** gold ruby and diamond ring contains one full cut diamond set in the center of a flower design. The full cut diamond is bezel set and weighs approximately 0.05 carats. Surrounding the center diamond are five round faceted rubies measuring approximately 2.50mm each. 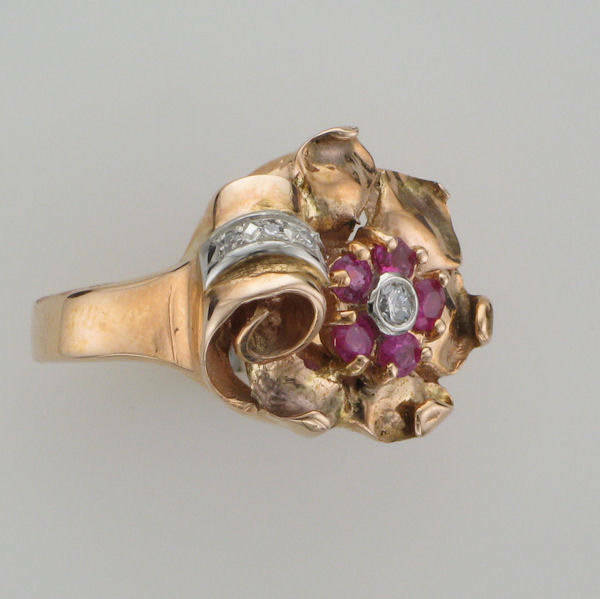 The rubies are considered to be intense slightly pinkish red in hue. Accenting the ring and set in white gold are 3 single cut diamonds weighing approximately 0.01 carat each. All the diamonds are considered to be of good make and quality. Ring Size: 6-1/4 can be sized. Circa: Art Deco Period. Shipping includes insurance. 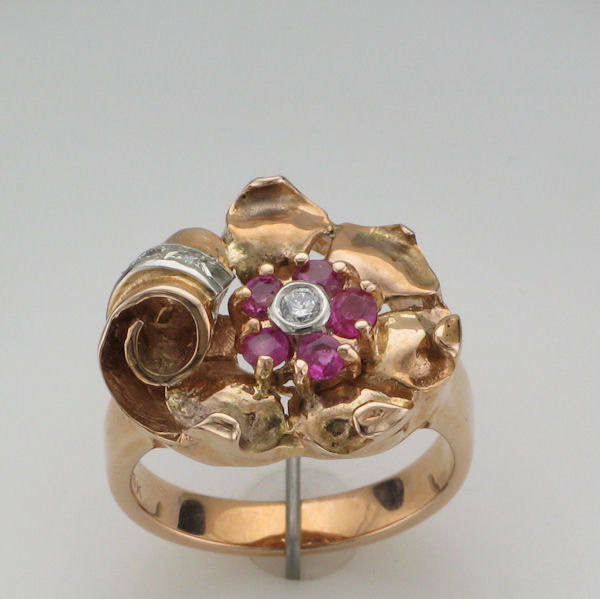 **please note the ring is all one casting therefore the gold is all one color--yellow gold HOWEVER, under different lighting the yellow looks more rose in color and in other lighting it looks more yellow...sorry I am not being more definitive.